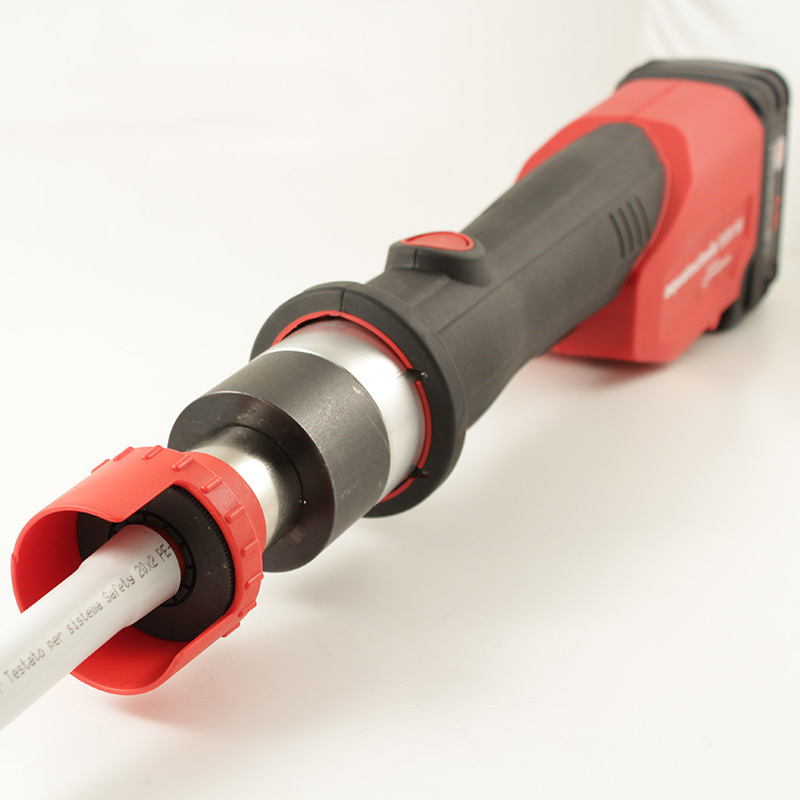 - The longest service interval available for compact press tools (32,000 cycles). - Powerful 18V Advanced Lithium 2 batteries that maximises presses per charge for more uptime. - 270˚ swivelling barrel to access tight spaces. Aquatechnik Expander-Coupling tool BBS 32 Battery 18v working, according to CE std. Automatic tool to prepare the fitting seat. Processing diameters: from 16 up to 75mm. Hand Arm Vibration Guide: no more than 8 hours continuous use.